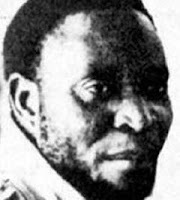 Tongogara was killed in a 'car accident' and was reburied in Heroes Acre - on the outskirts of Harare in 1980. Margaret Dongo was one of the last people to see him alive. "We were eighteen girls who were having a function and he came to say a few words to bless the occasion." ZANU released an undertaker's statement saying his injuries were consistent with a road accident, but no autopsy results or pictures have been released(the undertaker who gave the report was indeed Mr K.J Stokesand not Mr R Silke). His ghost has been reportedly seen by a number of people in and around the burial place. It is also said that he haunts the State House in Harare and that this has driven a certain person to antidepressents!